The mountains that surround it are internationally renowned for their beauty, but avid walkers and hikers will quickly tell you that Lake Louise is the Hiking Capital of Canada. When you explore Lake O’Hara or the Plain of Six Glaciers you will discover trees and plants of the coastal rainforest as well as wildflowers, juniper, and the rare white bark pine. And you’ll probably encounter fascinating animals such as pikas, marmots, pine martens, and mountain goats. Glaciers shine in the sun, and sedimentary rocks glisten in a rainbow of colours. Breathe in the clean alpine air. Go for a physically demanding day, or a simple stroll around the lake. 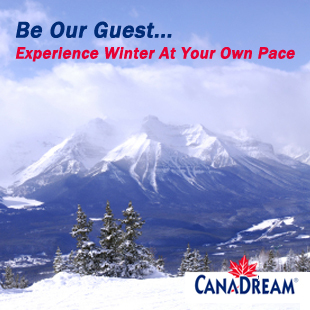 But go, and experience the gorgeous Lake Louise. 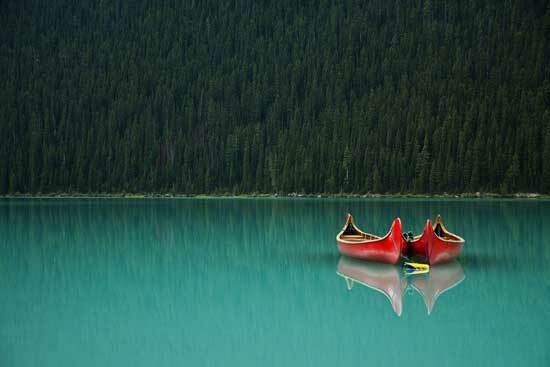 Two canoes reflected on glassy, turquoise waters, Lake Louise. Photo submitted by Jonathan Zabloski, Canmore, Alberta, on July 29, 2010. At the age of 13, the Mountain Parks changed my life. Growing up in southern Ontario, my first visit to the Rockies came in the summer of Grade 8, when Dad attended a conference in Victoria. We tagged along; Mom and three impatient kids. After the meetings, the family and our camping gear were packed into a Rent-a-Wreck car, and we hit the road, exploring the beaches of Pacific Rim National Park before boarding the ferry and heading inland. After a week of water slides and beaches of Penticton, Dad decided to press on, towards the turquoise waters of Lake Louise. He had never forgotten his first visit to the mountains as a young exchange student from Britain, decades earlier. Amongst the kids, the prospect of more camping and hiking was met with resistance. The waterslide was all we wanted, but Dad insisted. The next day our heavily-loaded car crawled over Roger’s Pass, under dark clouds and pouring rain. Barely able to see beyond the windshield, we inched towards Yoho National Park. The weather grew continually worse. Finally Mom suggested a motel. The kids heartily concurred. Despite a 4-to-1 vote, Dad invoked veto power, and as dusk settled, we set up tents in drenching showers, cooking a quick meal on the Coleman, and diving into damp sleeping bags. The mood was low. This was a pathetic vacation. The next morning, I woke early. It was silent. Crawling over Dad to unzip the door of our sodden pup tent, the scene outside caused me to gasp. 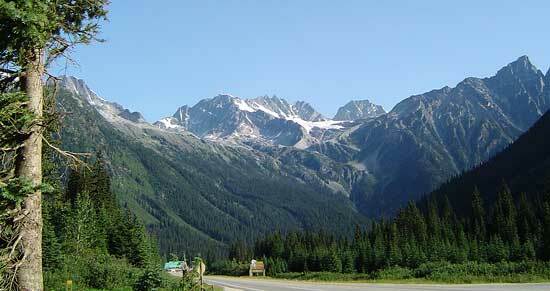 Beyond our camp, snowy, glaciated peaks soared about forested ridges. I could hardly believe my eyes. It looked like something from the movies. We spent the next week exploring the mountain parks; transfixed, never complaining, always wanting to go further, higher, farther – exhausting our parents. From that day on, I knew where I wanted to spend my life. Bruce Kirkby now resides in Kimberley, BC, when he isn’t leading trips in remote and exotic locations around the world. Bruce is a regular columnist for the Globe and Mail, his stories and photos have been featured in magazines like Canadian Geographic, Unlimited magazine, Explore magazine, National Post, Outpost magazine, or UP! To know more about Bruce, please surf up his website, or go here for a full bio!